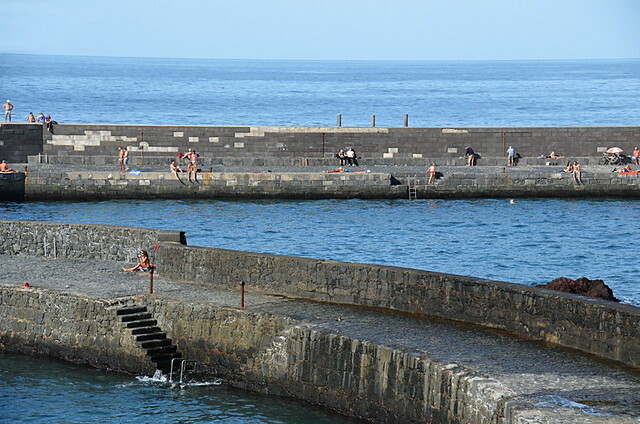 Puerto de la Cruz has quietly developed a Klingon-like invisibility cloak. It’s used to hide parts of the town which someone clearly doesn’t want certain visitors to discover. 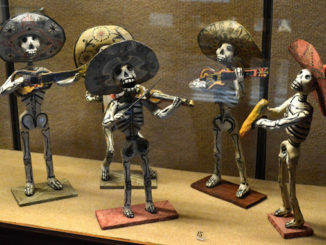 Honestly, this is no Dia de los Inocentes, April Fool type story. It’s the conclusion I’ve come to in recent years after reading comments/reviews which bamboozle me. I’ll give you a recent example to illustrate what I mean. This was the verdict on Puerto de la Cruz at Christmas according to one disappointed British visitor. It’s true, the average age of visitors to Puerto de la Cruz, and every single other resort on Tenerife, rises during the winter months. 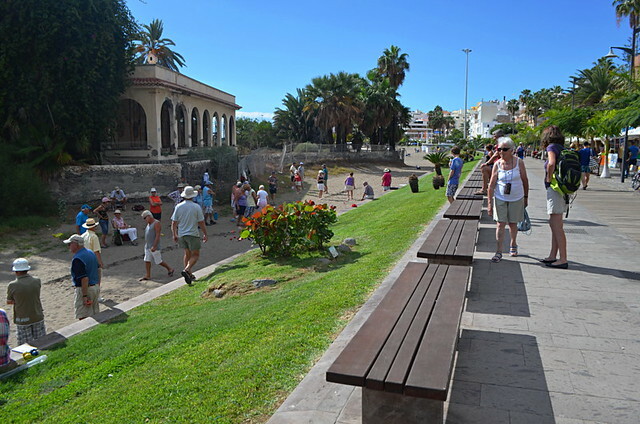 Puerto de la Cruz is an exceedingly pleasant and safe place to be, whatever your age. One of the things we liked about it when we first moved here is residents aren’t in the slightest bit judgemental of age. I can roll into a bar frequented by locals half my age and nobody will bat an eye. It’s the norm for families to party together, mixed generations enjoying themselves in the same place at the same time. 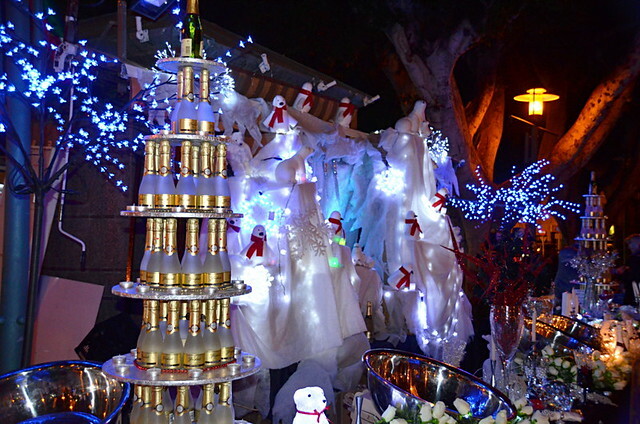 Especially during special occasions such as the festive season when there is so much going on in the town. That was the sound of me hitting the brakes on this post. That statement contrasts jarringly with the “it’s a pensioners paradise there is nothing going on…” verdict. I’m not lying. I’ve got a dozen years of personal experience and flashdrives full of photos to prove it. 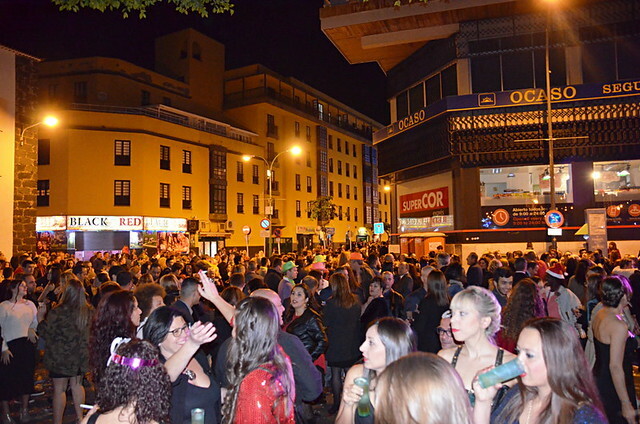 I can also provide festive links to Facebook pages where plazas and bars are packed with revellers of all ages, mostly younger in the case of bars, having a ball. 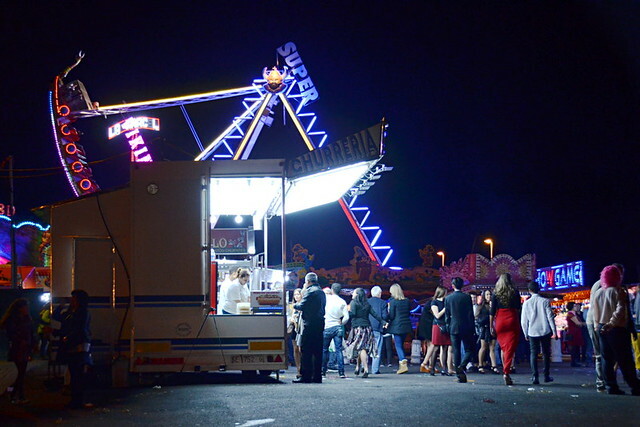 At Christmas there are concerts, markets, parades, music in the streets, a funfair, parties in bars… all sorts. There’s an official agenda of events and then there are events put on by bars and restaurants. This year there was even a football tournament featuring future football stars from clubs such as Barcelona, Real Madrid, Juventus, Paris St Germain, Borussia Dortmund and… err, Middlesborough. A cracking event with some silky skills on show by all account. But the person who made the comment isn’t lying either. The Puerto they experienced was quiet and full of people they felt were too mature and/or, apparently, too foreign for them. Reading more comments threw up further clues as to why they couldn’t see the Puerto we know and love. The only bars they referenced were ones which catered mainly for British visitors, clearly disappointed they only found three in the town. In fact these were the only bars they seemed to spot at all as they referred to having to play ‘hunt the pub/café’. In a town where pavement café society buzzes, something had seriously gone wrong. From other comments it also appeared they mainly hung out around Avenida Familia de Betancourt y Molina. When we walked through the avenida on our way to Plaza del Charco on New Year’s Eve it was a dead zone, whereas the plaza was rammed. Whenever we walk through the avenida during carnival on our way to the street parties we regularly wonder if carnival has been cancelled, relieved when we finally join the masses in fancy dress in the old town. The livelier side of the town,where most locals congregate, is to the west of Punto del Viento and around Plaza del Charco. This is where the heart of the town beats strongest. But this particular individual didn’t appear interested in finding the local scene. The upshot of the differences in experiences is they were looking for a British Christmas in Puerto and felt let down they didn’t find it. There was nothing much going on because there WAS nothing much going on in places they frequented. The invisibility cloak did exist, it was hanging in front of their eyes obscuring Puerto’s livelier Canarian personality. All they seemed to want to find were the British ingredients, which were clearly lacking. I’ve picked on one person’s comments because their experience highlights the skewed perceptions someone can have if they simply pick the wrong resort for them and then try to fit a square block into a round hole. However, I’ve read similar other accounts many, many times. 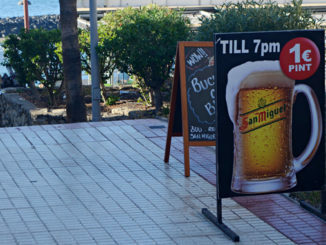 Anyone who goes to a traditional Canarian town to seek out Brit bars isn’t going to find the holiday experiences they’re looking for, just as anyone who goes to a purpose built resort is going to struggle to find a Canarian personality. In the end it all boils down to a lack of research, and people not choosing a resort which matches personal preferences. 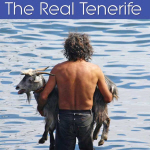 Puerto de la Cruz rewards those who move to the local rhythm. I’d disagree with you somewhat, Jack. I thought that Puerto was definitely quieter in the run up to Christmas this year. Plaza del Charco and the Calle San Telmo were empty at times. I even wondered whether the tourist shops were closing earlier. However, once Christmas Day passed, the activity levels picked up. My own suspicion is that this was weather- or, rather, temperature-related. It was cooler this year than in previous years. I needed a jacket and/or sweater in the evenings more than I have in past years. I also wondered if there was a slight shift in the pattern of visitors this year. In my hotel, it seemed as though there was a noticeable influx of visitors between Christmas and New Year. All that said, any time I walked down Calle de la Hoya, the Brit Pubs seemed busy enough to me. We’ve always found the run up to Christmas to be very quiet Martin. First year we were here friends visited (they got a good deal, afterwards we understood why) and we spent nights sitting in empty bars. 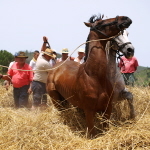 After that we only went out during that run-up period to specific events that were part of the town’s Navidad programme. It can be useful though, understanding the pattern means we enjoy last minute crowd-free Christmas shopping, knowing the festive season doesn’t start for locals until Christmas itself. It also meant that even this year, when there’s been record numbers of visitors to the island, we were still able to get into two hotels in the south because that period is traditionally dead – the lull before etc. The problem in the particular case mentioned was twofold. One, he was basically looking for Britain in the sun and two, he was expecting things to take place in the timescale he was used to. The latter is not uncommon and can be a reason why some people experience a different Puerto. He was disappointed to find Plaza del Charco dead on Christmas Eve, yet that’s consistent with what happens in traditional areas across Spain. After midnight the party starts in the town’s late bars and clubs. Often what’s actually going on in the local scene gets missed as publicity here still isn’t great. with endless football and Full English Breakfasts. Then yes it is quieter but that’s why we like it. Like anything else you can always see what you want to see. Just have to take the effort to look. ? A friend and I were there for Christmas last year, we loved it. This next year we are going for new year and three kings. Where is best to get a real taste of the celebrations. When we want a bit of brit we pop into The Molly Malone’s, it’s great but we love a real taste of the town too. Any suggestions gratefully received. 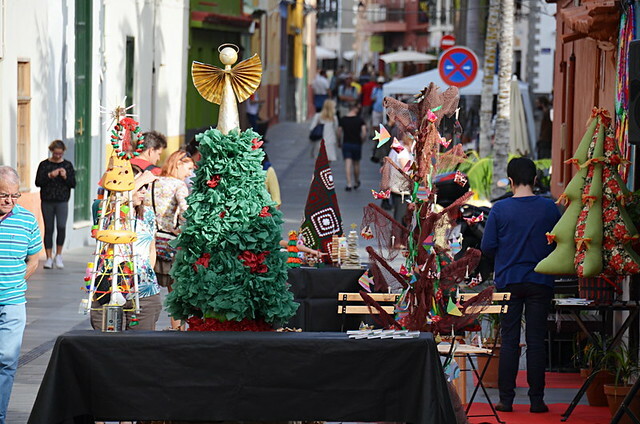 The best thing to do is to pick up a Navidad programme at the tourist office as there are lots of events throughout the Xmas period that many visitors miss.